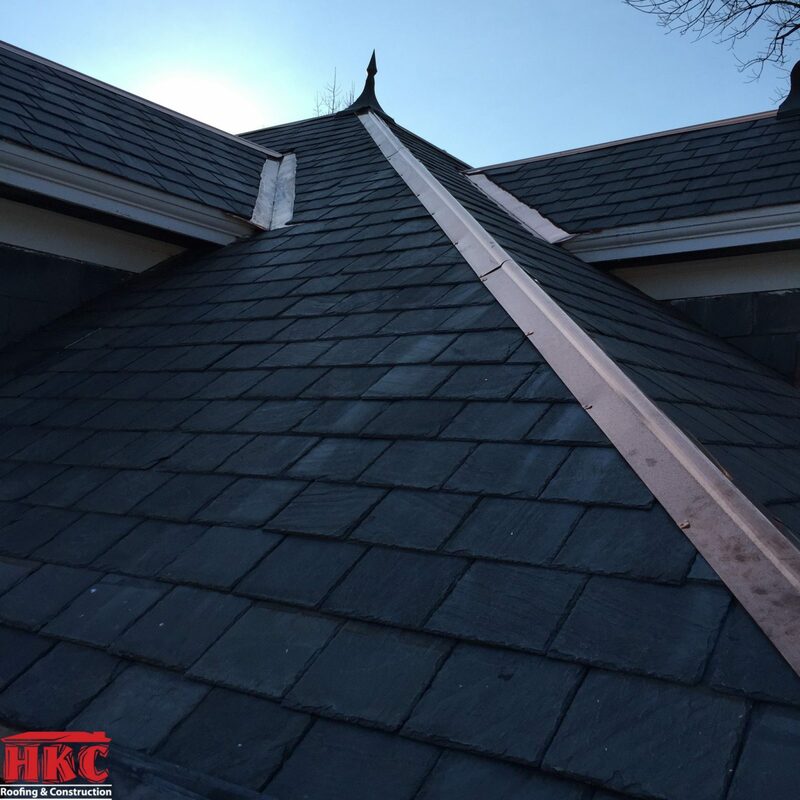 This project required the restoration of both the original slate roof system and the copper built-in gutters. 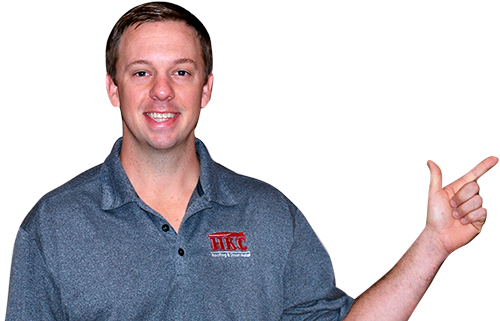 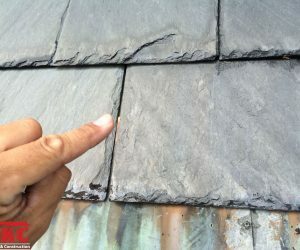 When the homeowner purchased the home just two years ago he was told the roof and gutters had already been restored and should be in good shape for the next 50 years! 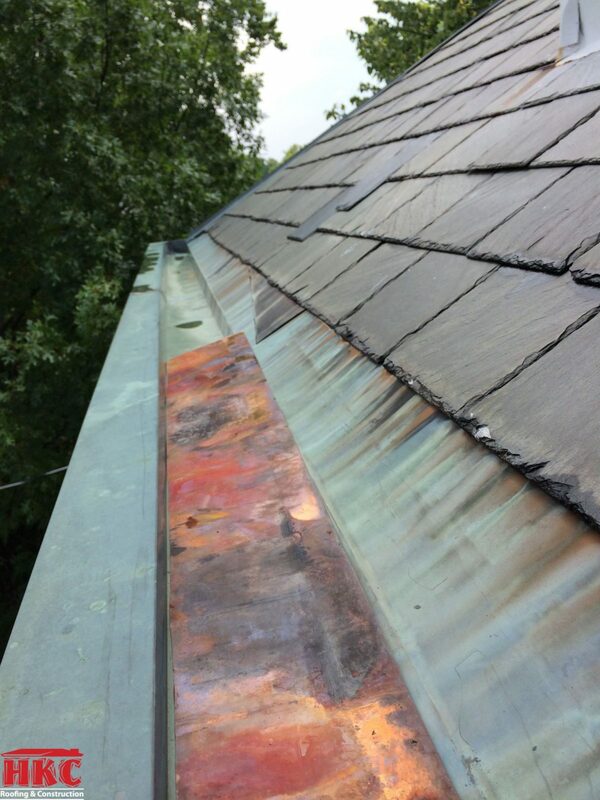 Within one year they found the box gutters were leaking and damaging the soffit area. 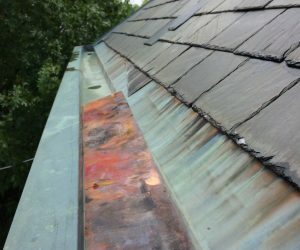 After a detailed inspection we found a horrific restoration had been completed. 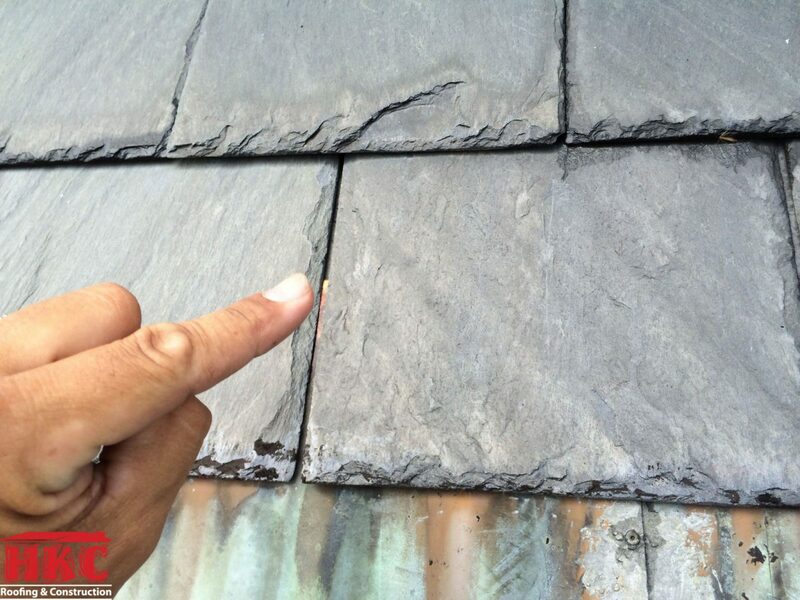 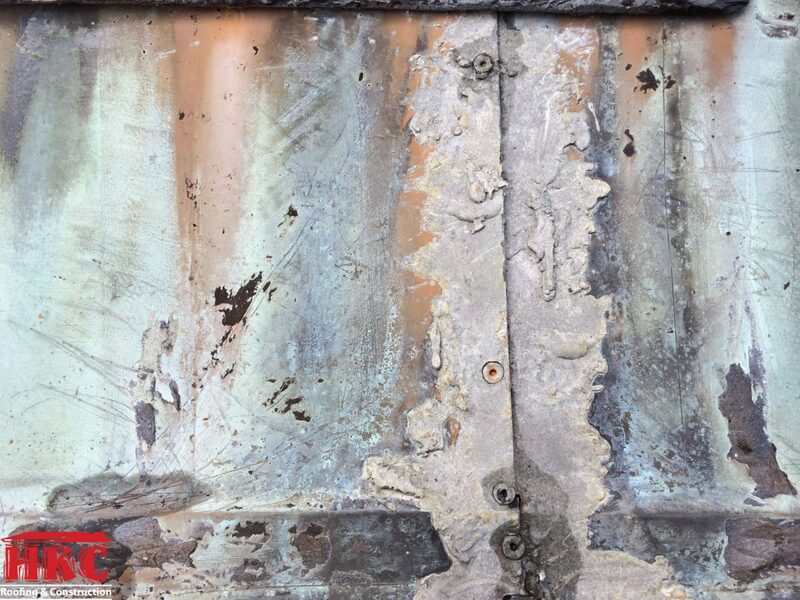 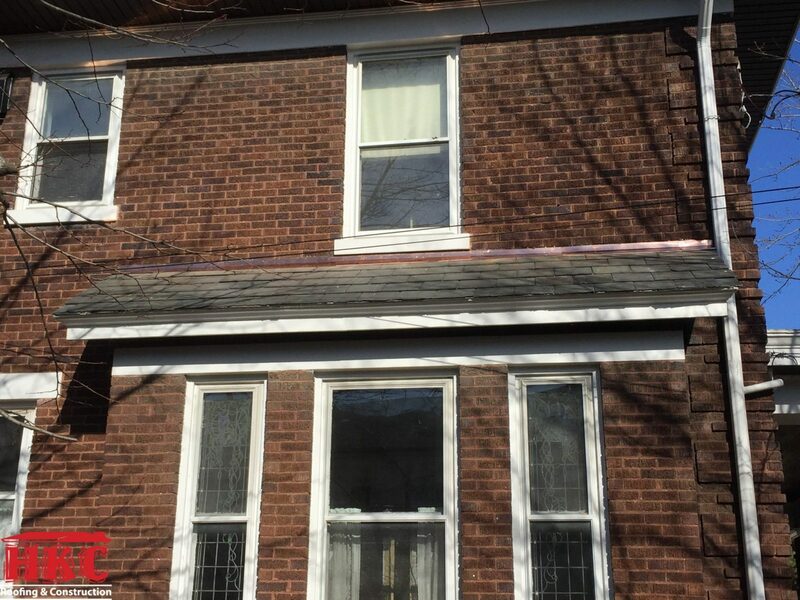 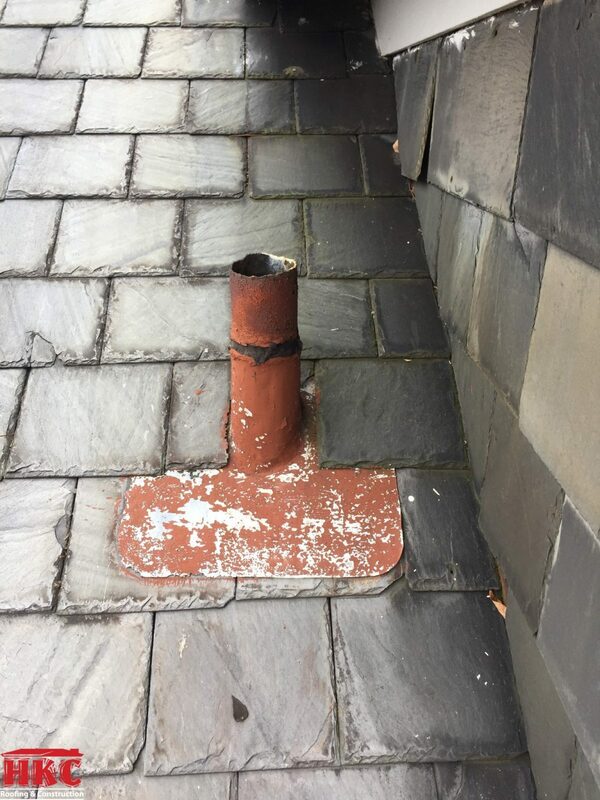 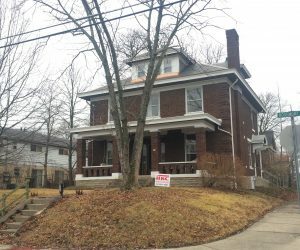 The previous contractor showcased his lack of knowledge by replacing slates with the wrong type and color, poorly soldering the copper and not allowing any expansion and contraction to occur in the gutters. 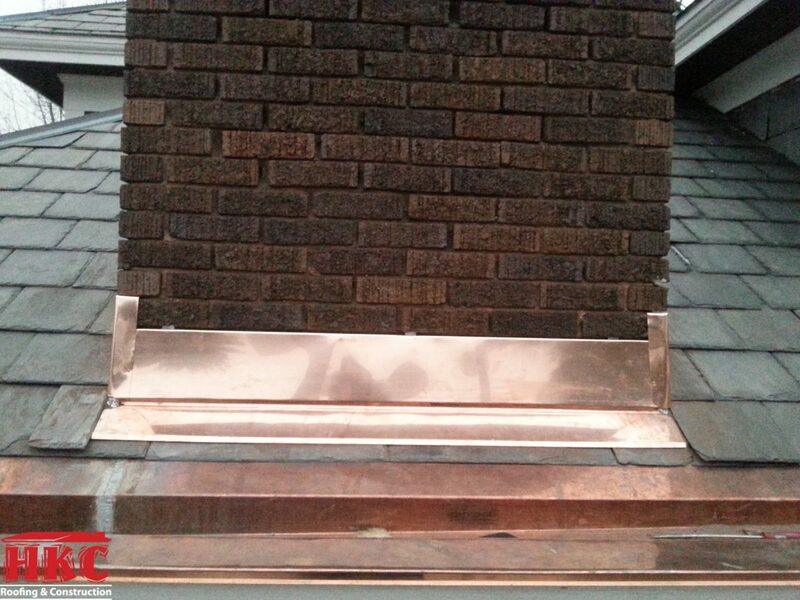 They installed copper box gutter liners but never removed the original “tarred-over” liners. 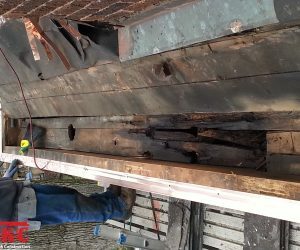 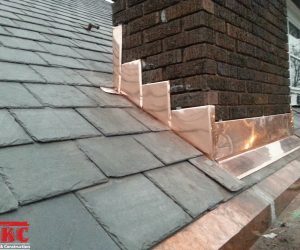 Therefore, the old rotten wood was left in place and the new copper box gutter liners were simply tucked under the first row of slate. 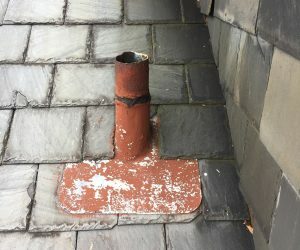 This poor technique allowed water to immediately run behind the new copper box gutters and cause further deterioration. 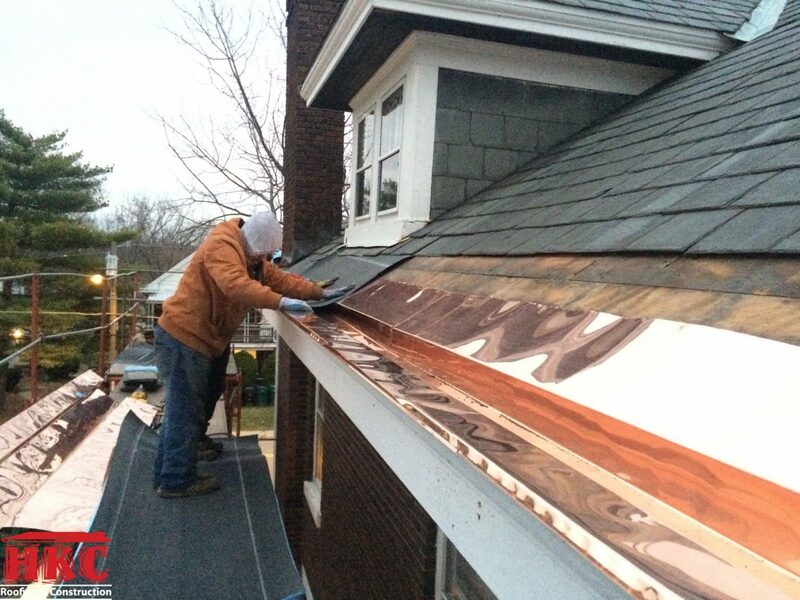 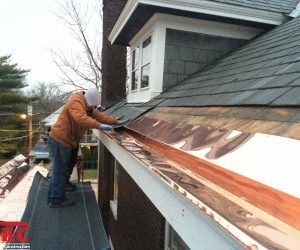 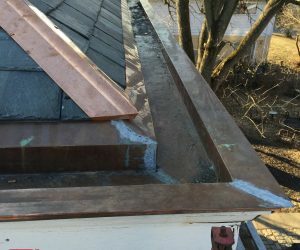 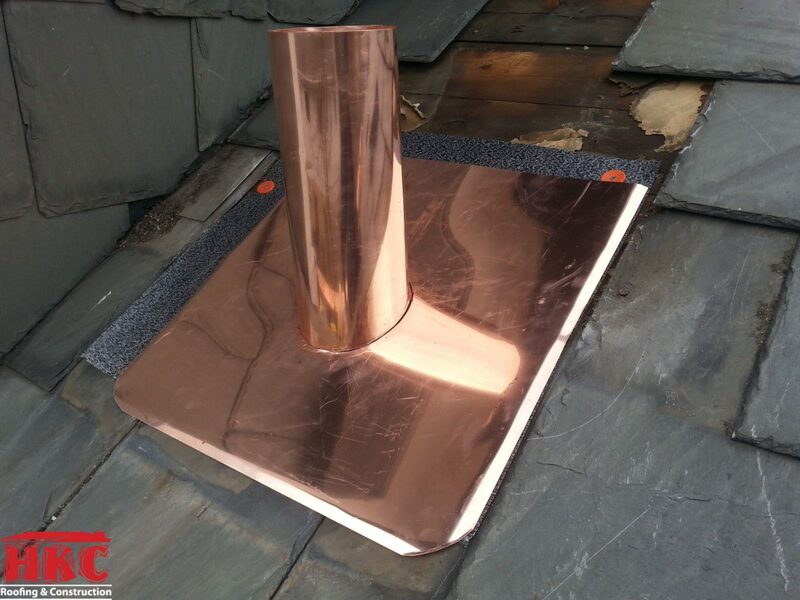 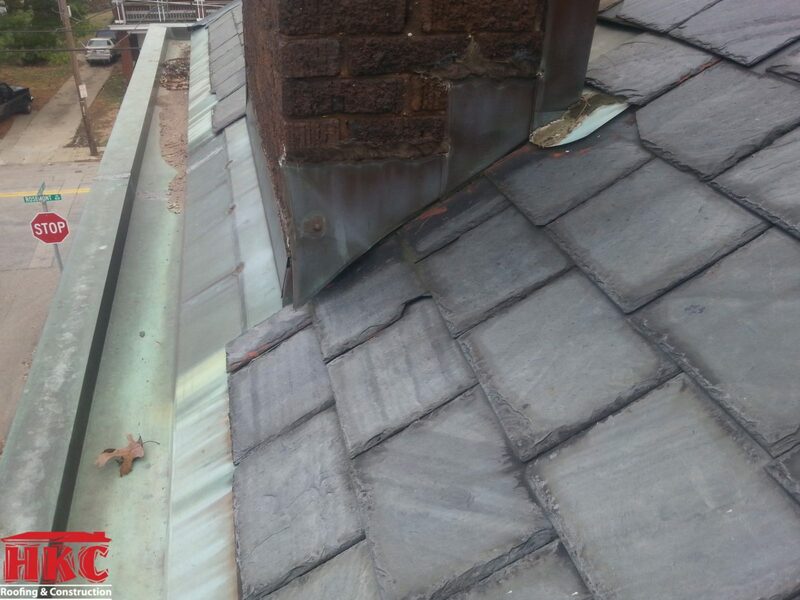 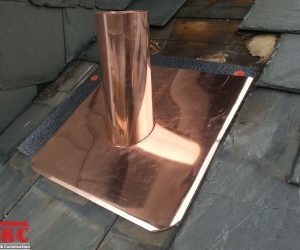 We found the copper hip/ridge secured with steel screws, directly through the slate and with no sealant applied to prevent leaking. 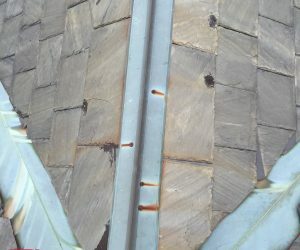 These steel screws were already beginning to rust. 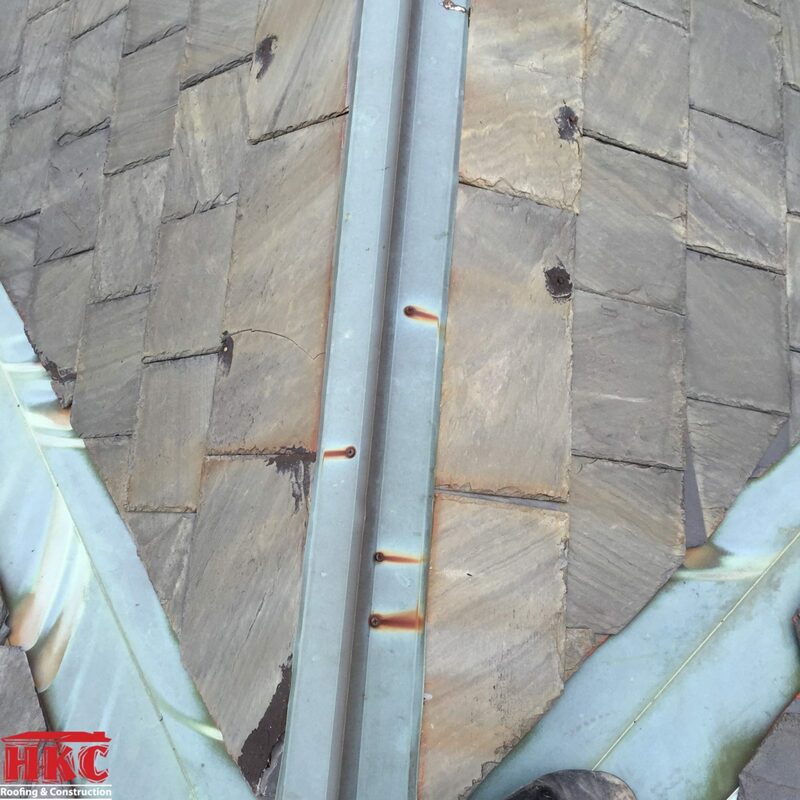 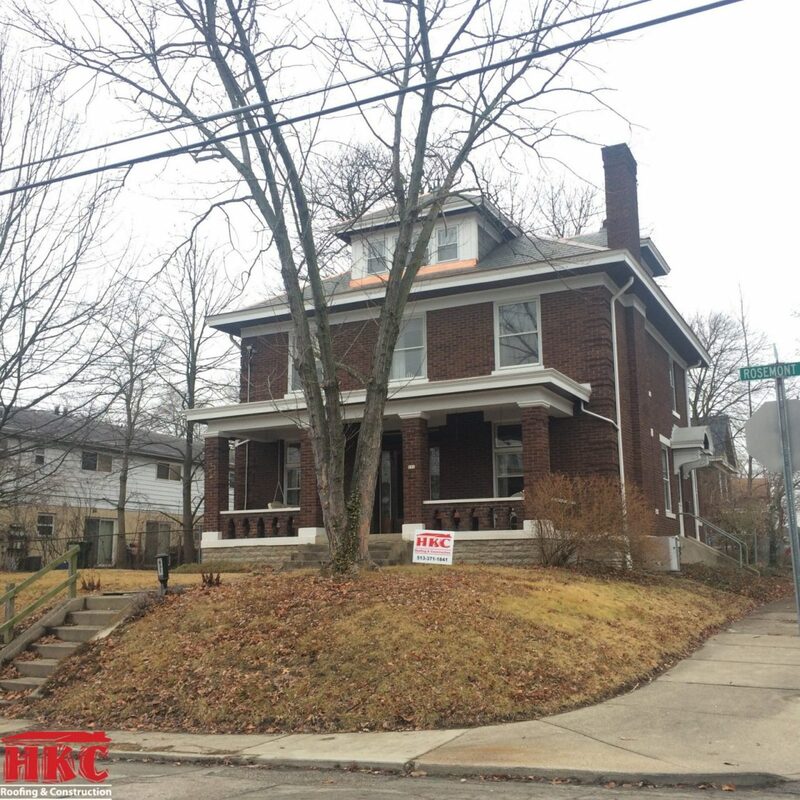 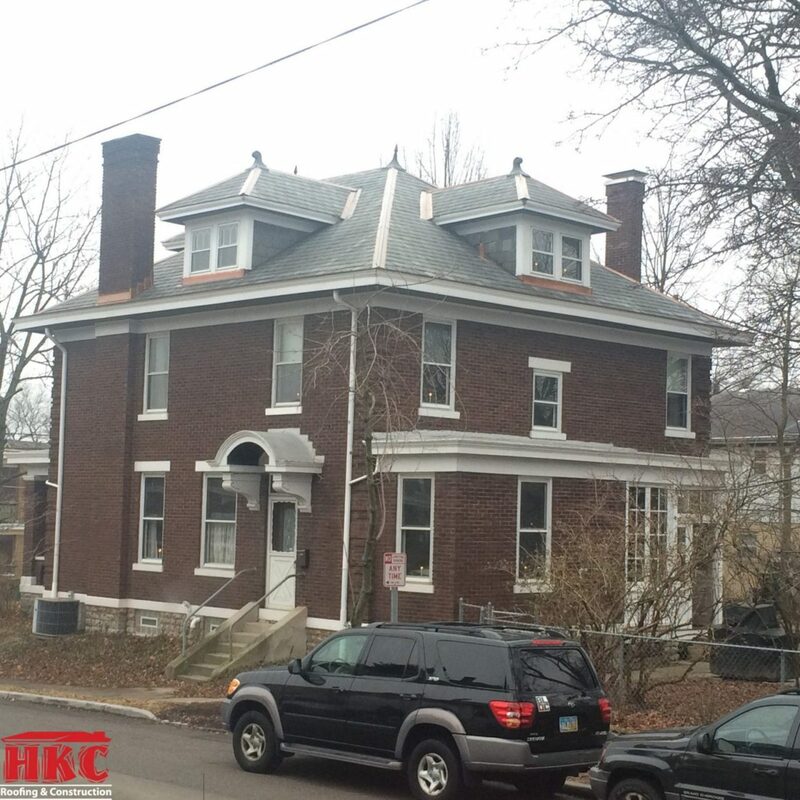 HKC Roofing proposed to restore the slate roof and box gutters. 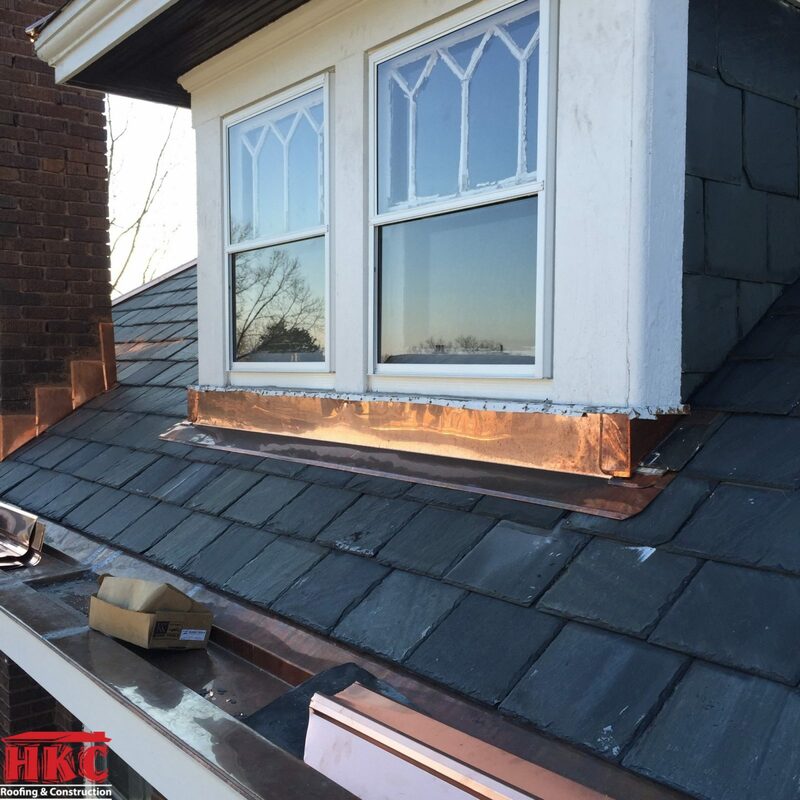 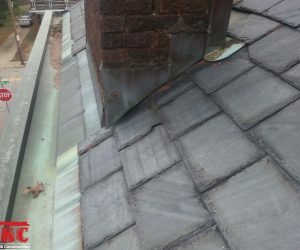 This included replacing all broken, missing and incorrectly installed slates with matching, salvaged, “Peach Bottom” slates. 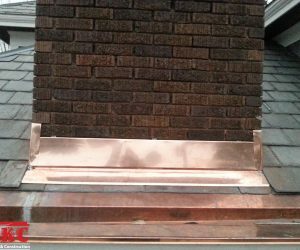 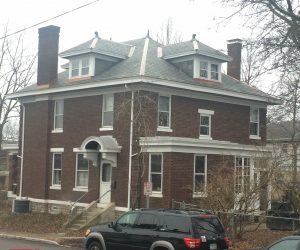 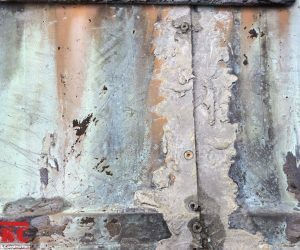 Furthermore, we would need to replace all of the chimney flashings, pipes, valleys, dormers, and hips/ridges with new copper sheet metal. 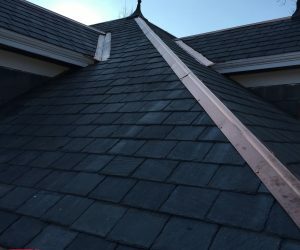 This would complete the slate restoration and allow the roof to last another 100 years or more! 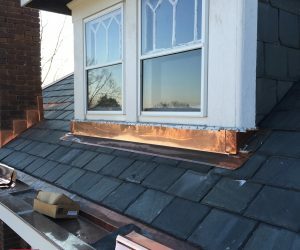 The box gutter liners needed to be completely removed, including the copper and old tin so the wood framing could be inspected. 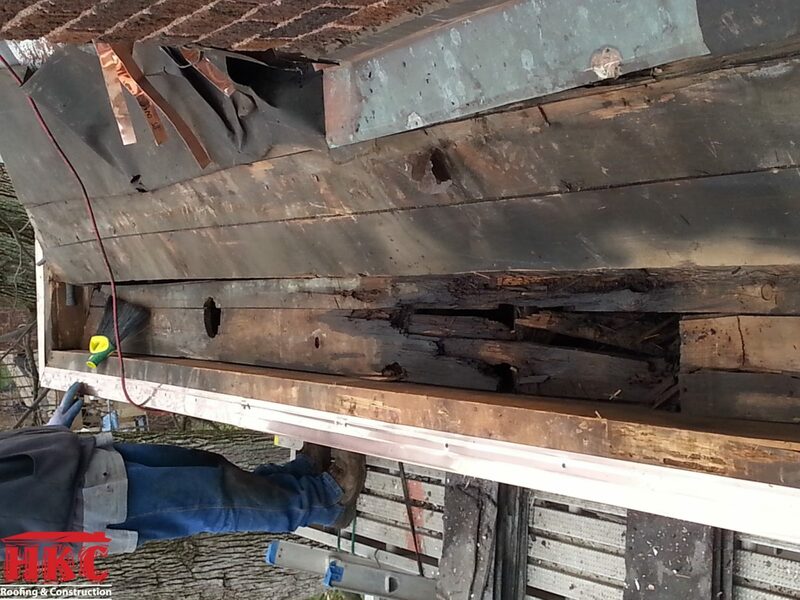 The wood needed to be replaced where deterioration had occurred and checked for proper drainage. 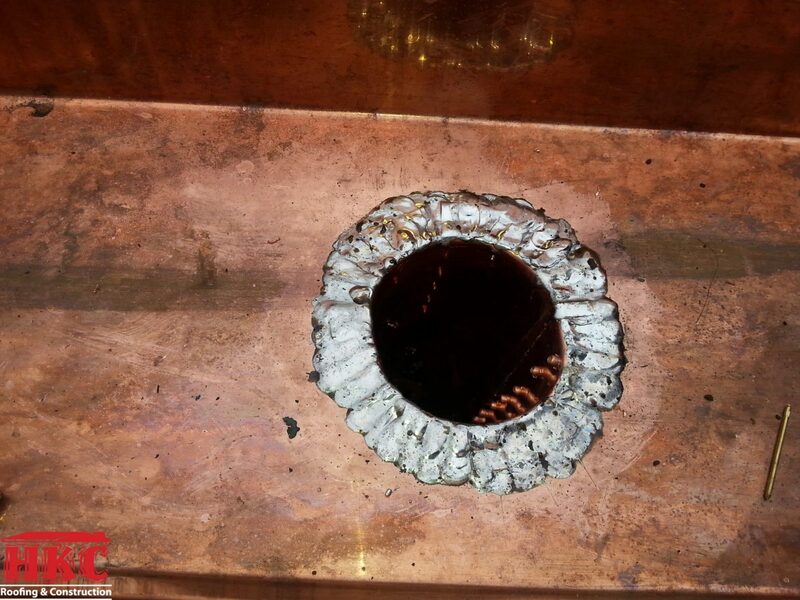 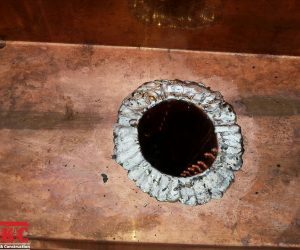 Afterwards, new copper liners were fabricated and installed. 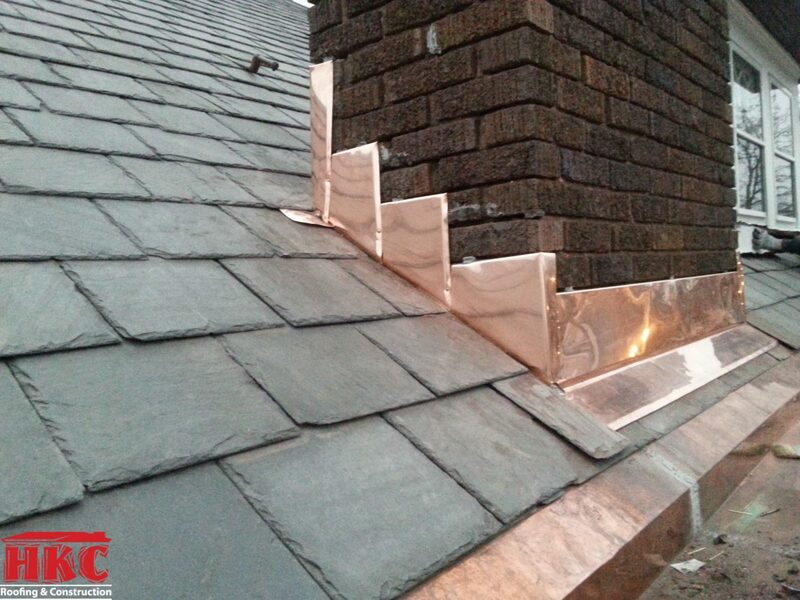 All of the seams were pop-riveted together and soldered for watertightness. 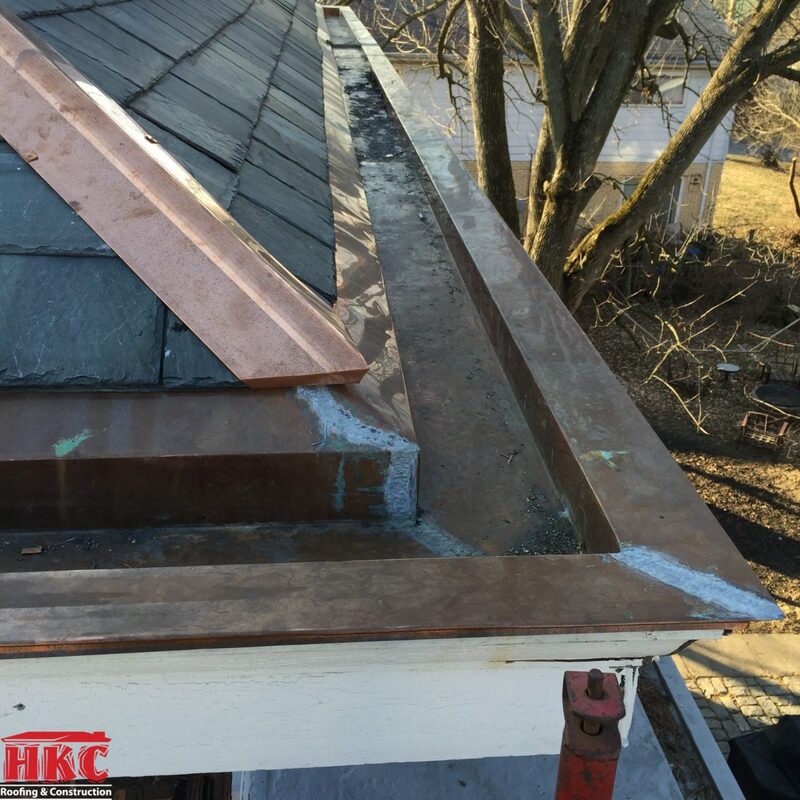 Most importantly, expansion joints were installed every 30 feet to allow the box gutters to expand and contract, eliminating stress from the seams and ensuring long-term performance. 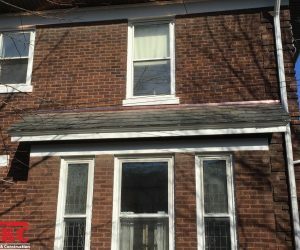 Please see the before and after pictures below.